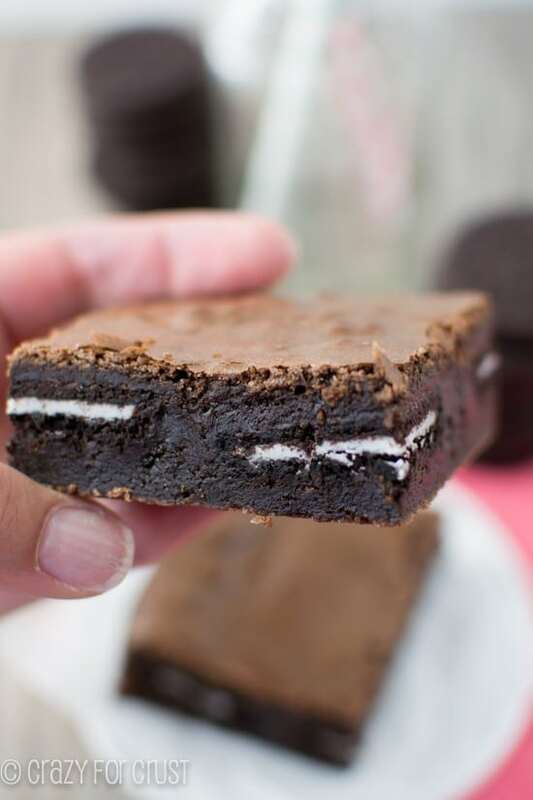 These Oreo Brownies seriously are my most favorite brownies ever – the fudgy factor alone is worth every calorie. Is it “fudgy” or “fudgey”? Google didn’t know, and my spell check doesn’t either. But then again, my spell check doesn’t know how to spell bundt. Or brownies. Well, sometimes it knows brownies, but not all the time. So I wouldn’t trust it either way if it said fudgy was a word. Or fudgey. I don’t think it really matters. What does matter? Is that these brownies are so fudgy that my daughter actually thought they were fudge. I am soooooo a fudgy brownie person. I guess there are two camps of people: fudgy and cakey. These are most definitely NOT cakey brownies. These are ultra rich, chocolatey, fudgy brownies. Last week was OBC. I was stressed, crazed, and I neeeeeeeded chocolate. I needed brownies. Because I can eat an entire pan of brownies in one sitting by myself, I like to add things to bulk them up. Like frosting. Or Oreos. It makes me pause and realize I shouldn’t eat more than half the pan. I used my favorite brownie recipe. It’s my go-to not-a-box brownie. They taste better than a box – I promise. And they’re just as easy. I promise! I make them all the time. 1. I baked them in a 9×9″ pan, so they’re thicker. Thicker = Fudgier. 2. I used Hershey’s Special Dark Cocoa. I’ve never used that before. And oh, wow. I’m never using anything else ever again. Who knew a mere 2 tablespoons of dark cocoa could make such a difference? I really have no words for how good these are. Favorite. Brownies. EVER. 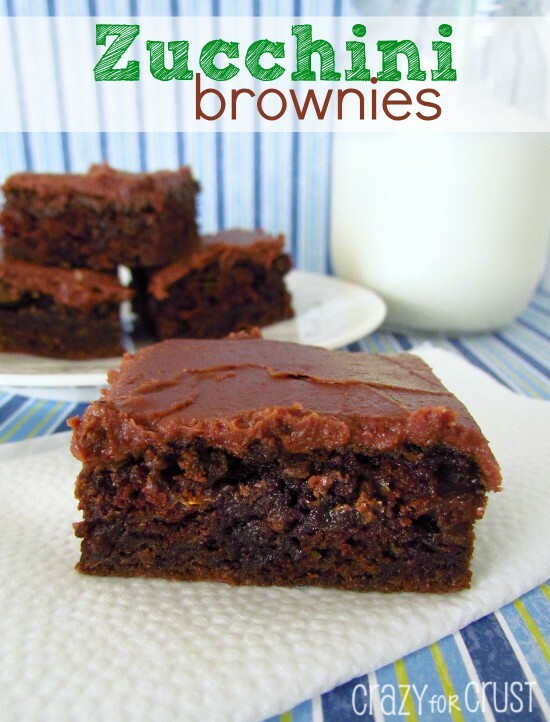 These are one bowl brownies, as long as you have a microwave safe bowl. There are 3 kinds of chocolate, but it’s worth it. 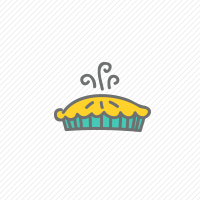 And there’s lots of butter. And lots of sugar. But guess what? They’re lower in fat. Preheat oven to 350 degrees. Line a 9x9” pan with foil and spray with cooking spray. Place the two baking chocolates and butter in a large, microwave safe bowl. Heat on HIGH power for 2-3 minutes, stirring every 30 seconds, until chocolate is smooth. Stir in sugar. Add eggs, vanilla, and cocoa and stir well. Add flour and stir carefully. Spread half of batter in prepared pan. Place Oreos evenly over the batter, and top with remaining batter. Bake about 33 minutes, until a toothpick 2 inches from the outside of the pan comes out clean. Let cool before cutting. I am totally a fudgy brownie person. Also love chocolate and haven’t been getting enough lately. Need one of these ASAP! 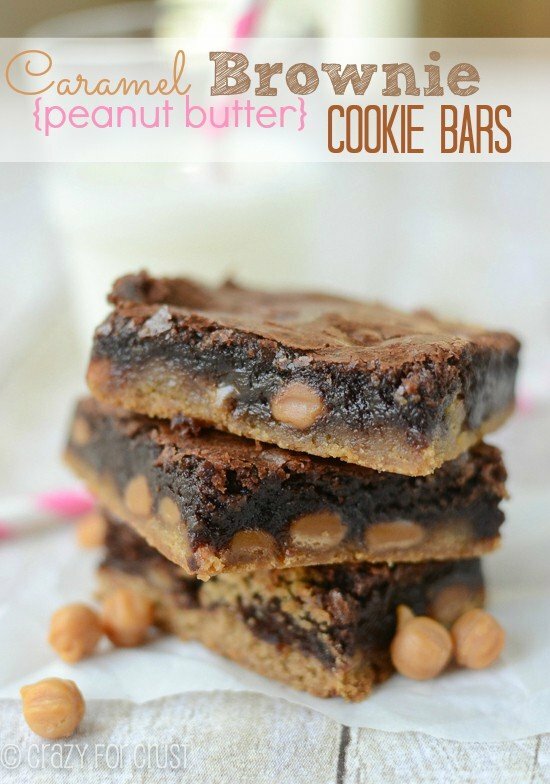 Seriouuuusly–these are SOOOO fudgy!!!! I am dying over here! btw, these are great (even after being frozen)!! Dorothy, you are SO cute with your reduced-fat oreos! 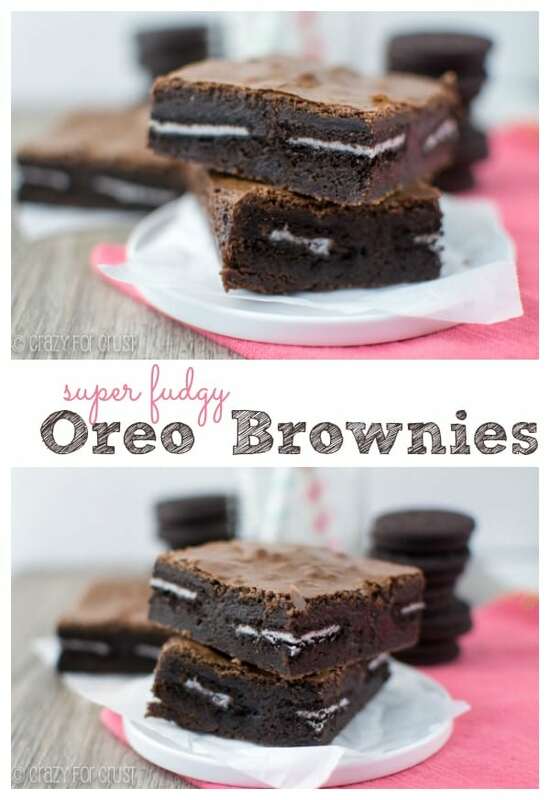 I think that all brownies should be fudgy. Cakey brownies are just… Well, chocolate cake squares without the frosting. Not brownies! It must be a mac thing. So funny! I don’t care how it’s spelled, just get it in my face! These look ridiculously good!!!! I love how fudge-y they look!!! As long as they taste fudgy/fudgey … that’s all that matters … your photos are the proof … they are fudgy! 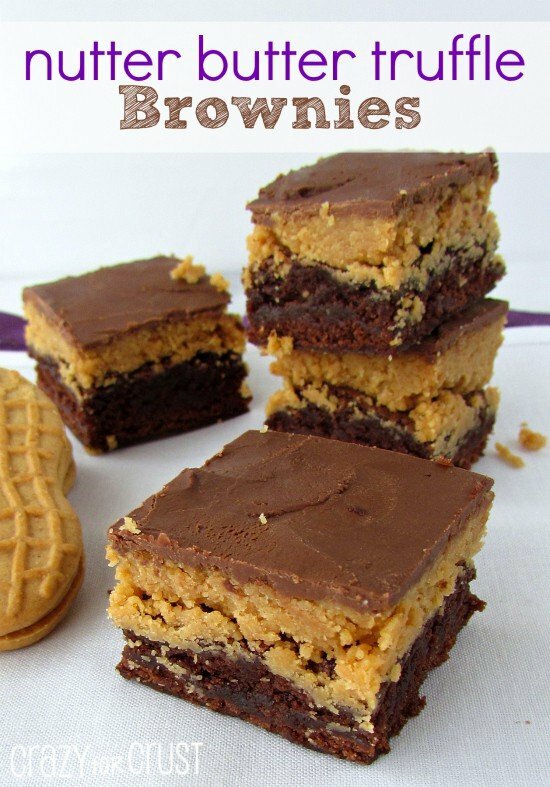 Now these are my kind of brownies! These look incredible Dorothy! Hi Dorothy. Do you know of any reason why I couldn’t use a variety of flavoured sandwich cookies: peanut butter, or maple, etc? As long as they have the icing-type middle, I was hoping the cookie could lend itself to variations. Thank you. I think you could use any cookie you wanted! Totally great for variations. Maple? YES! fudgy is the only way to go! 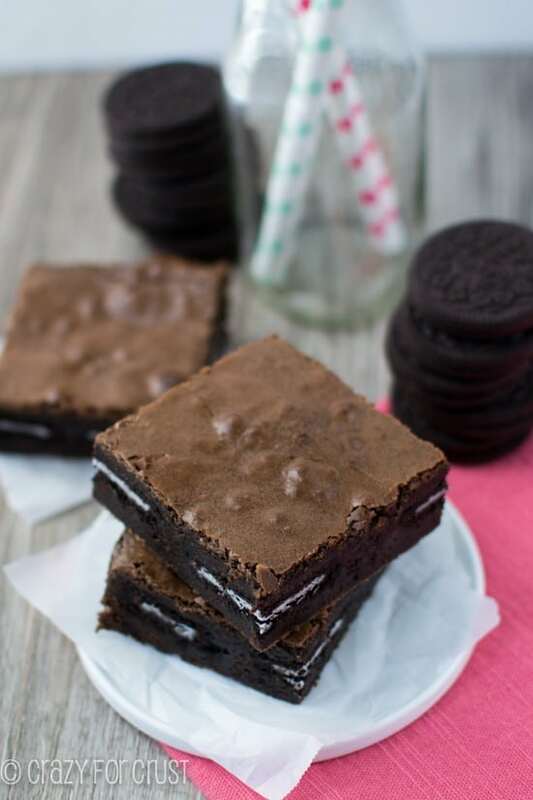 I love oreos in brownies..can never have enough chocolate! I’m totally with you… fudgy beats cakey any day, and the Special Dark Cocoa powder is THE STUFF. It’s so good! I love that you used Oreos in these, too. What a great treat! The fudgier the better!! These look so good Dorothy!! Mmmmm….fudgy. 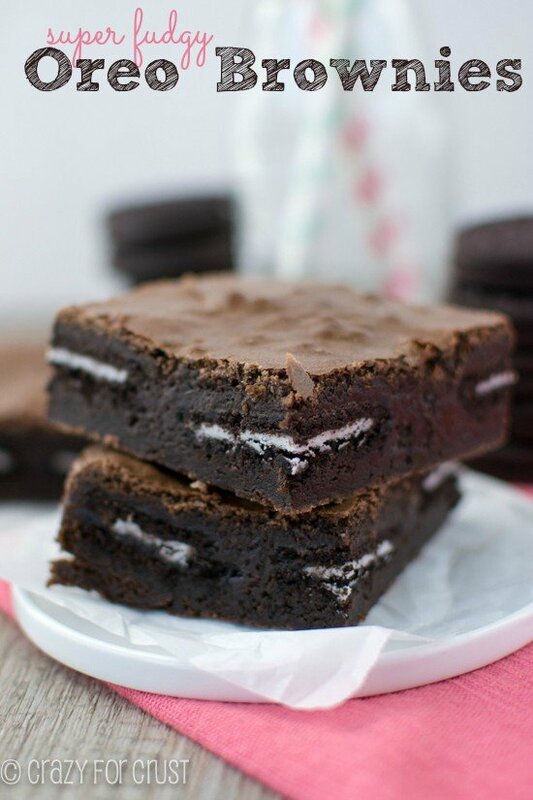 I can’t stand cakey brownies so these look like perfection to me, especially with the Oreo cookies in the middle! I vote for fudgey vs cakey also. These look awesome! I’m pinning these to my cookings / bars board.